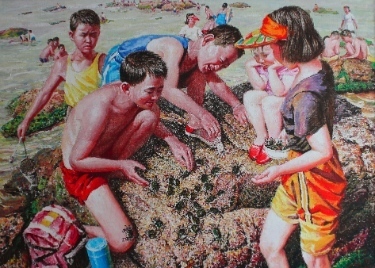 One of the North Korean paintings on exhibit at Regent College. This is a classic image of the “dreams” of ordinary people. An exhibition of North Korean Art (May 28 – July 24) and a one-day conference on Global Church and Reconciled Korea (June 20) are part of a series of events making connections between critical issues in Northeast Asia and Christians in Vancouver. Soohwan Park is part of a group which brought Fukushima to Vancouver 2015 to Lookout Gallery (until June 25) and is hosting Soul Sustainability: Urban Renewal Through Art at Strathcona Church June 11 – 13. Here she provides some background to the situation in North Korea, the important role Canadian missionaries played in the early days of the now-dynamic Korean church and current connections between North Korea and Vancouver. In recent months, the BBC has published several articles focused on the growing militarization of Japan and American support for that growth, linking it to the United States’ attempt to balance China’s growing military power. The situation is very complex because Japan and Korea, though both allies of the United States, have historically been enemies. Japan, Korea and China have gone through many changes since World War II. Hong Kong was officially handed over to China in 1996, and then Macao in 1999, but there is still division between Taiwan and China. Japan rose out of ashes of two atomic bombs dropped by the United States, mainly through economic miracles based on nuclear energy and other technological advancement. Cultural and socio-economic rifts between South and North Korea – still technically at war – remain deep. Tensions in Northeast Asia took an unexpected turn in 2011 when the 311 earthquake and tsunami hit the Fukushima Daiichi nuclear power station in Japan, and Kim Jong-Un took over as the supreme leader of North Korea after the sudden death of his father. These political tensions and stories of the enmity of one nation against another continue to make news around the world. What we do not hear is what God is doing in this region and how resilient the church of Jesus Christ is during these times of turmoil. Often the stories of God’s grace and mercy do not get told to the rest of the world until years, or generations, have gone by. When we hear these forgotten stories and feel the heartbeat of God’s mission present today, might we be able to see another reality of God’s kingdom at work beyond apparent tensions and political powers of the world? Perhaps we might pray that we may become the hands and feet of Jesus to be used to prevent another great disaster of our time, instead of passively awaiting a second Russia-Ukraine conflict or another tragedy of Syrian refugees running for their lives? 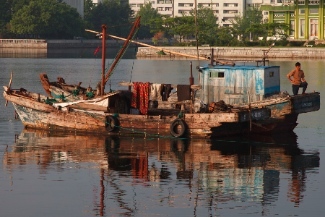 Wonsan is a large port city in North Korea. “Korea-Canada relations date back to 1888, when Canadian missionary James Scarth Gale of Toronto was first sent to Korea,” according to the Canadian government. Gale went to Wonsan in 1892 and started Gwang-Suk Church the next year. Wonsan then became the hub of Canadian missionaries from Presbyterian and Methodist churches working along with Korean Christians. 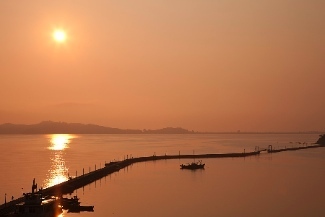 Wonsan is a large port city in Kangwon Province, Korea, located north of the 38th parallel (the initial boundary between North and South Korea, resulting from the Allied victory of WWII which ended Japanese colonization in Korea). It was the second largest port after Busan until the division took place, boasting multi-cultural, multi-ethnic life (a third of its population was from Japan, Russia, China and the West). There are beaches along the coast where the government is working to build tourist attractions. 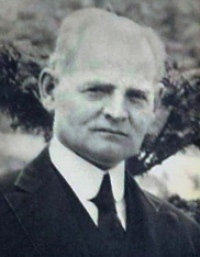 Dr. Robert Hardie’s prayer for repentance and unity led to revival in Wonsan. Wonsan was also home to the first revival movement sparked in the Korean peninsula, when another Canadian missionary, Robert A. Hardie, prayed for repentance and unity among foreign missionaries and local Christian leaders in 1903. This grew into a movement of prayer called the Wonsan Revival Movement (1903 – 06). Hardie was influenced by the Student Volunteer Movement while studying at the University of Toronto before going to Korea in 1890 as an independent medical missionary. His first few years were filled with “denominational, financial, political, social and physical hardships.” These challenges eventually led him to his knees, and his own repentance sparked the movement of the Holy Spirit. The movement climaxed in Pyongyang (the current capital of North Korea), and is known as the 1907 Pyongyang Great Revival. These two revivals became the foundation of the unprecedented growth of Christianity in the Korean peninsula, rising from fewer than 1,500 Protestant believers at the turn of the century to more than 300,000 in the 1920s. Pyongyang was once called the Jerusalem of the East because of this exceptional growth. Many Christians north of the 38th parallel fled to the south before and during the Korea war and many emigrated to the West. Gwang-Suk Church was closed after the division and we do not know much of the church’s history in the second half of the 20th century. 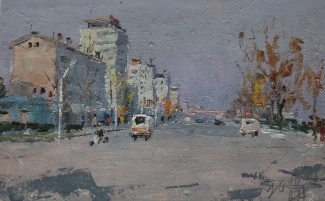 A city view of Wonsan. Today, Wonsan is again a city of close friendship with Christians in Canada, through the work of a Vancouver-based Christian charitable organization which works in several provinces in North Korea. The cities are also being brought together through artists who paint what we might call the ‘dreams and hopes’ of ordinary people of Wonsan. A one-day conference on Global Church and Reconciled Korea June 20 at Regent College (organized by Global Learning Consortium) will raise up the church of Metro Vancouver to be God’s agent for peace and reconciliation in the Pacific Rim region. For all of these reasons we believe the church needs to pray for reconciliation in Northeast Asia even as we seek to bring Christians in Northeast Asia together in unity in Christ that is greater than their national differences.